FOR more than two decades the distinctive rearing horse has welcomed people to the northern gateway of Forest Glen. 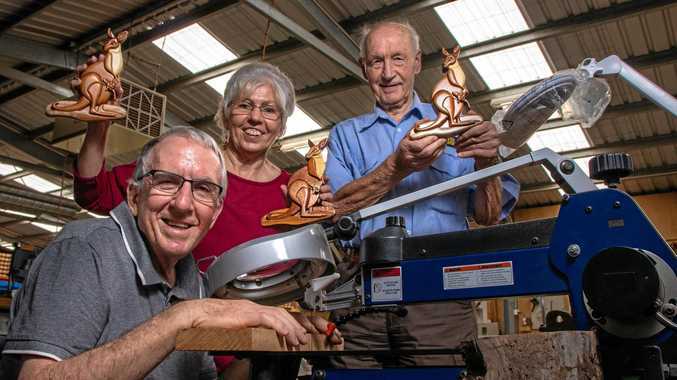 Now the well-known, family-owned and operated Australian business Horseland has acquired a new superstore on the Sunshine Coast. The popular equestrian retailer secured the 430sq m tenancy located at 50 Owen Creek Road in Forest Glen on a five-year lease. As such it will be at the southern access to Forest Glen, again with exposure to the Bruce Highway. Jason O'Meara and Peter Capps of Savills successfully leased the ground-floor showroom and warehouse to Horseland, that was previously home to John Deere. Horseland has completed an extensive fit-out and the premises is now open to the thousands of loyal customers. "This is a tremendous position and outcome for Horseland with direct visual exposure to the Bruce Highway both north and south bound," Mr O'Meara said. Horseland property manager Martin Mansley said the location had huge exposure to passing motorists, and customers would easily be able to identify the new store which will have fantastic imagery and of course the big horse out the front. "Horseland has been at the heart of the equestrian community here for decades and we are very excited about the opening of our new flagship store in Forest Glen,'' he said. "We can't wait for our customers to experience the large, open, air-conditioned showroom and our increased range with a totally new fit-out. Horseland opened its first store in 1978, and has evolved over almost 40 years to become Australia's largest equestrian retailer with 51 stores nationwide. 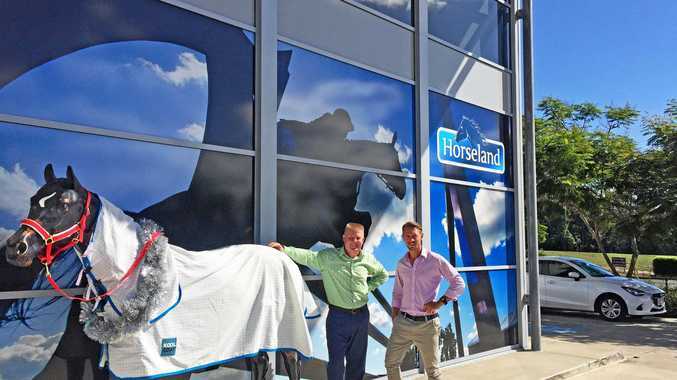 SADDLE UP: Jason O'Meara and Peter Capps pictured at the new Horseland showroom at Forest Glen.